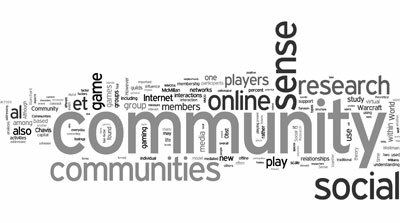 Home » About » Why Sense of Community Research? Sense of community has been considered an important aspect to study because of its links to well-being, life satisfaction, efficacy, personal and political trust, and its inverse correlation to loneliness. Research has found that higher levels of sense of community are related to higher levels of mental health, physical health, and economic prosperity and can impact social justice and change. Sense of community is central to understanding communities and their impact on members. The study of communities has changed throughout history: from rural to urban, from local to interest-based, and from face-to-face to mediated communities. Research has repeatedly shown that community continues to exist through technological changeâ€”but the question remains how, if at all, the new forms of connecting affect sense of community. Studies have both shown that sense of community exists as traditionally conceptualized in communities that are online, mobile, virtual, and otherwise mediated, and that sense of community is transformed when mediated. The contradictory result could mean that the unique attributes of a community, beyond simply online versus offline, are crucial to understanding its impact on members and their connection to the community. This is similar to research suggesting that early studies of Internet effects were overly generalized and that how Internet access is usedâ€”in combination with personality traits such as introversion versus extraversionâ€”have a significant impact on potential effects.